Rihanna is currently mourning the death of her beloved grandmother Clara “Dolly” Brathwaite, aka Gran Gran, who succumb to cancer last weekend. 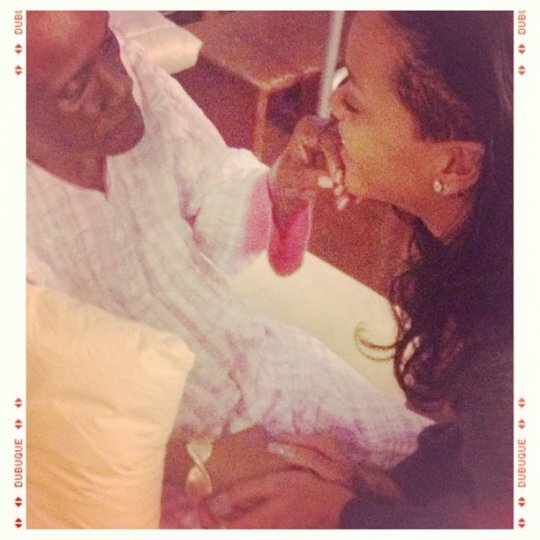 Rihanna broke the news via her Twitter earlier today: “Goodbye #grangranDOLLY get your beauty rest until I see you,” Rihanna tweeted along with some photos. Rihanna performed a cover of reggae legend Bob Marley’s “Redemption Song” at Sweden’s Peace & Love music festival. Rihanna’s ex-boyfriend Chris Brown reached out to the singer via Twitter. 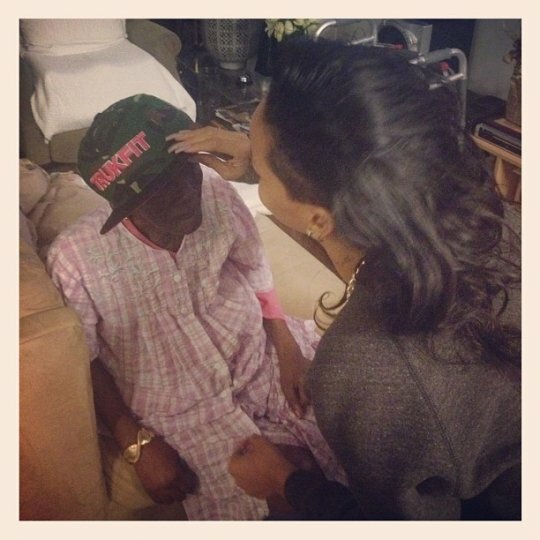 “Praying for family and the lost loved one. 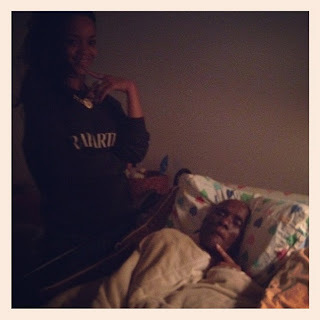 She was like my grandmother. 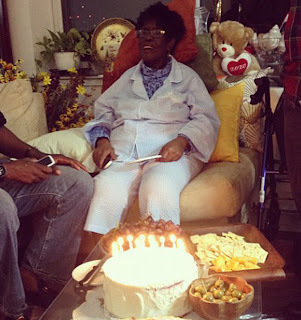 Love you GRAN GRAN! 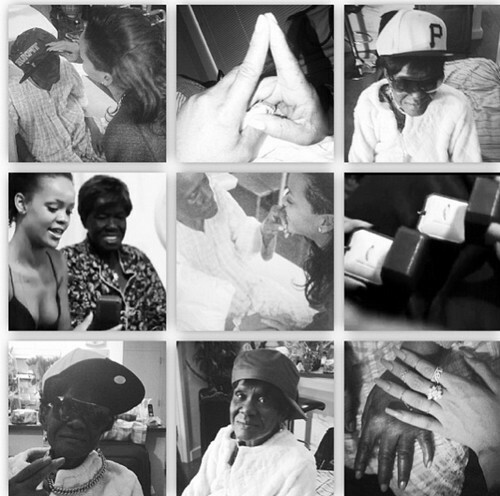 RIP,” tweeted Chris Brown. 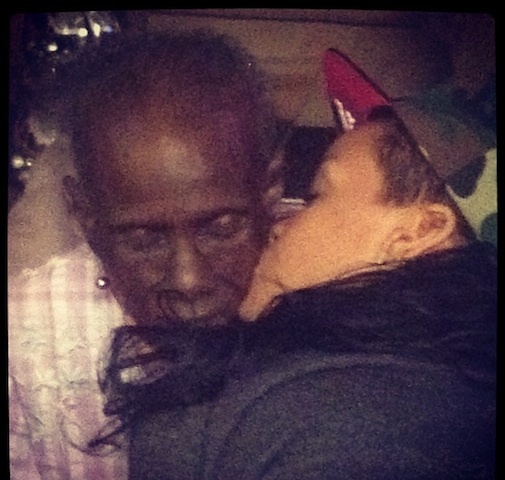 Brown’s mother Joyce Hawkins also gave Rihanna her condolence via Twitter. “ANGEL MAY GOD BE WITH YOU AND YOUR FAMILY IN YOUR TIME OF SORROW. LOVE YOU ANGEL,” she told Rihanna. “thank you! 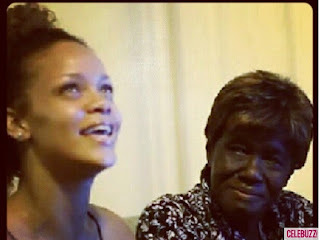 Love u mama,” the “We Found Love” singer responded. 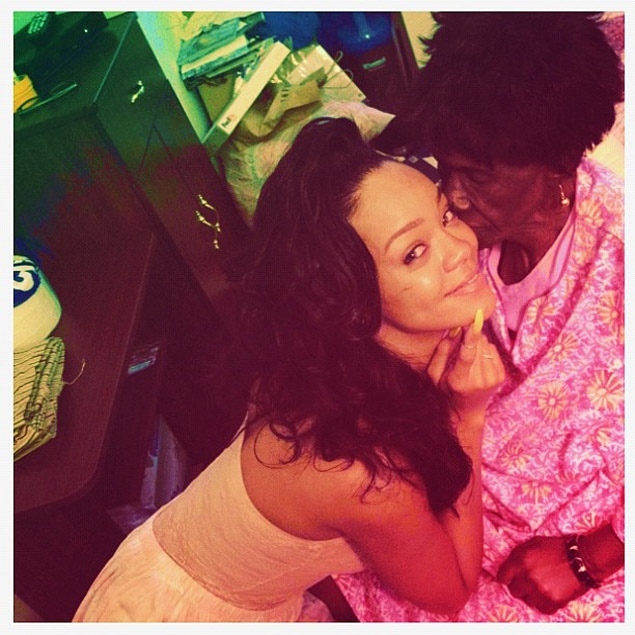 Rihanna took time off her busy schedule last month to spend some time with her grandmother, who was battling cancer in a New York hospital. In March of this year she also hosted a birthday party for her. 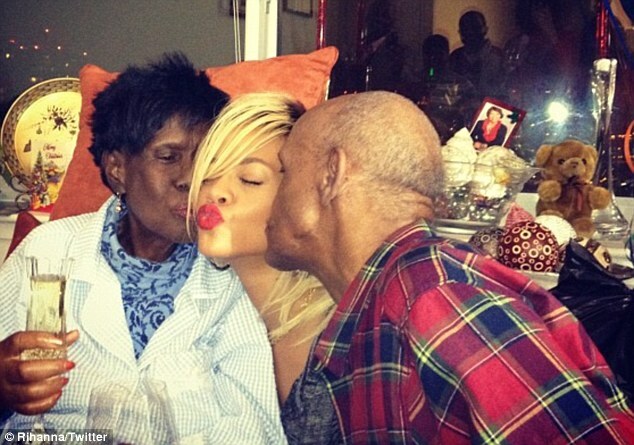 Condolence goes out to Rihanna and her family.